LOTR is undoubtedly one of the best stories that has ever been seen in the literary world. 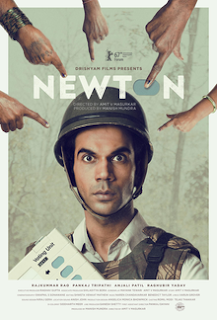 it has all the elements essential of a classic, war, drama, emotions, courage, valour etc. but very few people know that LOTR is just one small incident in the history of the fictitious universe that Tolkien invented. it happens over about 20 years, a speck of sand comparing to the timeline of Middle Earth. So i read up a lot (A lot lot) and here i am writing an article about how things started in this world. Many many many millenia ago there was a God named Eru Illavatar. he is the all powerful one in this universe. how he came into being is not known. he was known to exist in the outer void between matter and he has no physical shape. he is like a thought. he decided to create a universe which he called "Ea". he created this universe by composing a song called "Music of the Ainur". he did not physically create the planets, stars etc but instead created angel like spirits called "Ainur". the job of the Ainur was to go to each and every planet, star etc and physically create trees, mountains etc according to their intepretation of the music. hence Eru just gave a sort of an instruction manual. the ainur intepreted the verses of the Music in his/her own way. to aid the Ainur in their work, Eru then created weaker spirits called "Mair"
Now most of you guys must have heard of the biggest bad guy in this story, a creature called Morgoth. in LOTR it is once said that Sauron himself was just a servant to Morgoth. The first Ainur that Eru created was called Melkor. At that time Eru made a mistake and granted this Ainur all his powers. whereas for the other AInur he gave only a few of his powers. so Melkor was the most powerful Ainur ever created. but Melkor soon realised that he has all the qualities to be another Eru. but that was not accepted by others. so he fell over to the dark side. Melkor was the first Ainur to come to Earth and on Earth he started intepreting the Music in his dark and evil ways. so started creating orcs, dragons, balrogs etc. using these creatures he started attacking the other Ainur who came to Earth. Melkor was the strongest creature on Earth. so many animals and spirits came to his side. one of the Mair who was seduced by the dark side was Sauron. Sauron soon rose to be the principal lieuphtenant of Melkor. so how did Melkor come to be called Morgoth? now when the elves had just come into existence, the good Ainur created two large trees. one in the northern hemisphere and one in the southern hemi. these were the only sources of light then. the sun was yet to be created. now Melkor destroyed these trees and the world was plunged into darkness for a long time. now one elf cleverly captured some of the light of these trees into three jewels(gems) called "The Silmarils". the Silmaris became the most powerful weapons and source of energy in the world. Melkor stole these gems with the help of traitors and wore them on his dark crown. the elves then called him "Morgoth" which means Black Enemy in the Elf-tongue. Many centuries later Morgoth was finally defeated and he was cast into the outer void. that means that he can never return into this dimension. his servant Sauron then took up the mantle as the Dark Lord. 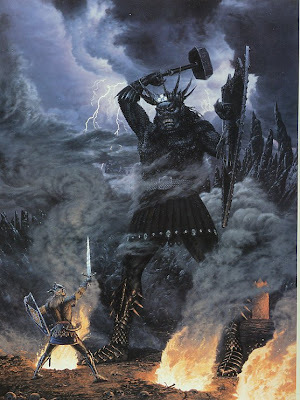 Morgoth was destroyed because of his own actions rather than the powers of his enemies. unlike Sauron who wanted to just control the actions of all creatures in Middle Earth, Morgoth wanted to control their very existence and their thoughts. he used all his powers to corrtupt the Music and this led to a gradual decline in his powers till the point where others could defeat him in war. I thought Melkor couldn't make any of his creations, the orcs et al are corrupted versions of the original beings (elves in this case). Mocking the originals. What I could infer through a terribly dull Silmarillion marathon. Dragons and Balrogs he literally dug out of earth or something. The full history of glaurung is in some particular book ... I forgot which.